Is There a Red State Advantage in Marriage? 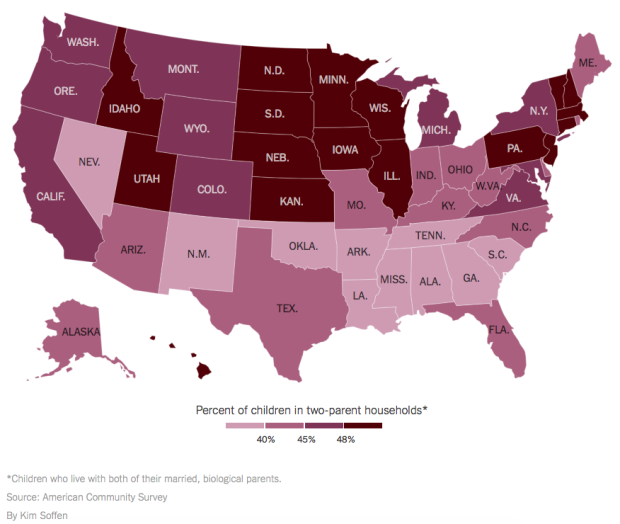 David Leonhardt adds to his recent article on family structure, where he argues that some red states have a higher share of intact families (with children living with both of their parents). Are Wages Really That Depressed?